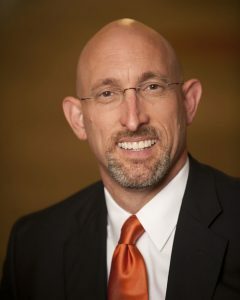 Dan Givens, the Associate Dean of Academic Affairs at Auburn University’s College of Veterinary Medicine, performed undergraduate studies at Western Kentucky University and obtained a DVM degree from Auburn University in 1994. After two years of clinical practice in central Kentucky, Dr. Givens earned a Ph.D. degree from Auburn University and completed a clinical residency that culminated in board certification in the American College of Theriogenologists—recognizing his clinical expertise in animal reproduction. He then achieved board certification in the American College of Veterinary Microbiologists (virology subspecialty) while performing NIH-funded, post-doctoral research. Since 2000, Dr. Givens’ efforts in applied research regarding infectious diseases that affect reproduction of cattle have resulted in over 80 peer-reviewed scientific manuscripts, four book chapters and two international patents. Simultaneously, for his classroom lectures in basic sciences as well as clinical instruction in the large animal teaching hospital, Dr. Givens has received five teaching awards since 2001. Dr. Givens passionately enjoys opportunities to learn, apply, and teach about factors that impact animal health and disease and competency of graduating veterinarians. Dr. Givens teaches selected topics in food safety, theriogenology, vaccinology, evidence-based medicine, and virology. As a clinical scientist with board certifications in theriogenology and microbiology, Dr. Givens has a focused interest in diagnosis, control and treatment of reproductive pathogens of cattle.